There are growing – if still hushed — fears about the expanding power of America’s top IT titans – which includes Google and Amazon well as Facebook. In the view of some, the three entities are beginning to exert a disproportionate influence over the US economy. While online commerce accounts for just 5% of total production, it is expanding under unique rules that defy anti-trust regulation and that strongly favor it over the offline economy. During Obama’s second term, Facebook (with Google and Amazon) grew revenues over 300 times faster than Fortune 500 companies in total: 118% versus 0.3%. In fact, the combined revenues of the three increased by $137 billion while the remaining Fortune 497 revenues contracted by $97 billion. This growing economic dominance is beginning to translate into potent political leverage. In part, that’s because the two political parties are increasingly turning to online media like Facebook as platforms for organizing their campaigns and raising money. But no one seems to have considered the opposite possibility — that the media tail could end up wagging the political dog. As we learned in 2016, Facebook already has the ability to control its daily “feed” in ways that can skew coverage of the news – indeed, by shaping what we consider priority “news.” Could that same skewing — with Zuckerberg in charge — also affect electoral outcomes, including his own ambitions for higher office? In a little-noticed experimental study, political scientists compared the voting patterns of respondents exposed to aggressive get-out-the vote messages on Facebook to those that received only a muted prompt. There was a distinct skew toward the former group. It wasn’t huge, percentage wise, but the study directors calculated that in a large metropolitan election, tens of thousands of votes could be at stake – enough to influence the outcome. The extent of the growing political influence of Facebook and the other IT titans is just now coming into view. In 2015, they spent more than four times what they spent in 2009 on congressional lobbying — and their contributions to political campaigns quintupled over the same period. No other corporate sector is flexing its muscles in such a dedicated fashion. In recent years, at Zuckerberg’s behest, Facebook — often relying on smaller lobbying entities — has moved to block legislation or global initiatives deemed threatening to its corporate interests. Of course, that’s always been the argument of monopoly business interests, and it reflects a profound confusion between the rights of individuals and the supposed “rights” of corporate bodies. In the end, it’s never clear who actually stands to benefit, but it’s rarely the ordinary citizen. When the US Supreme Court ruled in favor of Citzens United, allowing corporate entities greater access to the world of political fundraising, many liberals raged against the decision – and then proceeded to exploit it even more effectively than the GOP. Right now, only Zuckerberg and his group of trusted insiders know how he might move to exploit his control of Facebook – and its dominance of cyberspace — for political gain, should he run. Would he agree to separate himself from his own Behemoth for the good of the country? Would it even matter, if he did? 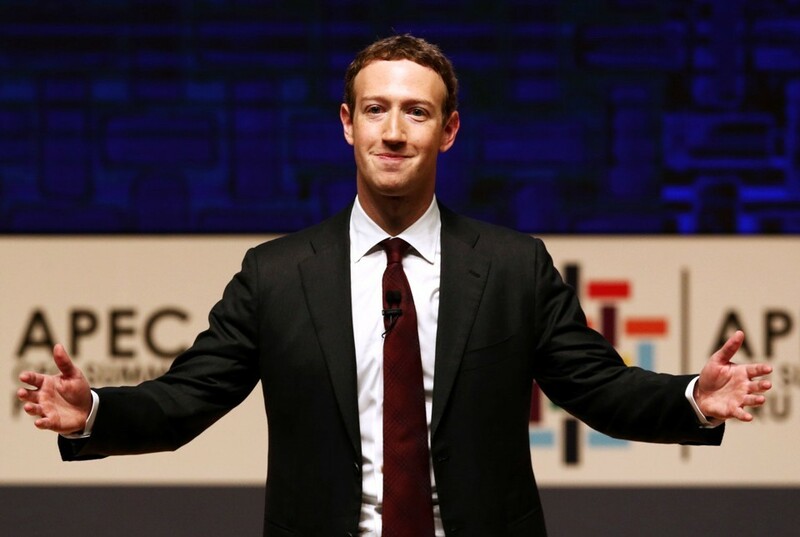 And with Democrats caught so flat-footed by Trump, and without a strong leadership bench, could they really resist the temptation to promote Zuckerberg as their political savior, regardless of its potential impact on “net neutrality”? But replacing it with “Zuckerberg news” — and all but merging the executive branch with America’s rapidly developing IT sector, with Facebook’s corporate chieftain wearing two hats — is surely no answer to America’s pressing need for information transparency and media accountability.